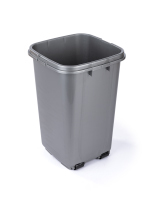 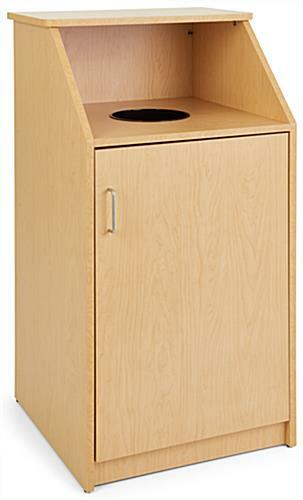 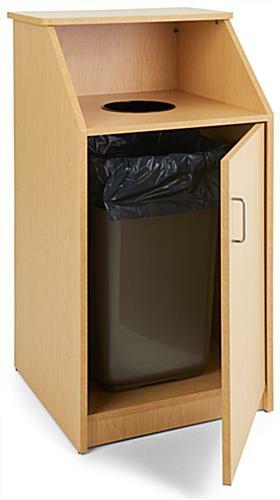 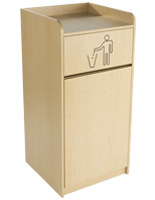 This large waste receptacle with maple finish has a hinged door that allows for quick disposal. 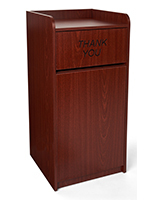 Buy attractive recycling bins is made of laminated particle board with faux wood melamine finishes like this one for restaurants, offices, and malls. 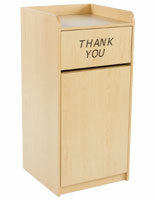 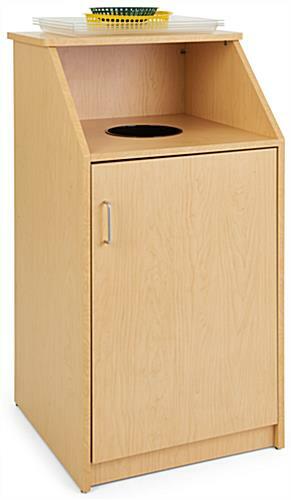 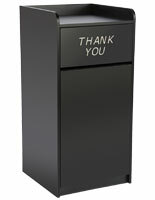 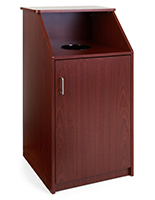 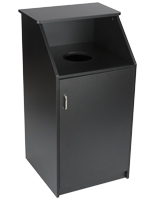 This floor standing waste receptacle with maple finish is 45" tall and holds up to 36 gallons max. 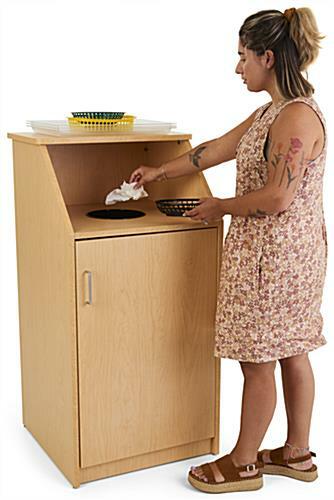 Toss food and trash, or bottles and cans (be sure to label which goes in) through the 7.75" hole. Customers can place empty trays on the top shelf of this receptacle with maple finish whehn they are done eating.